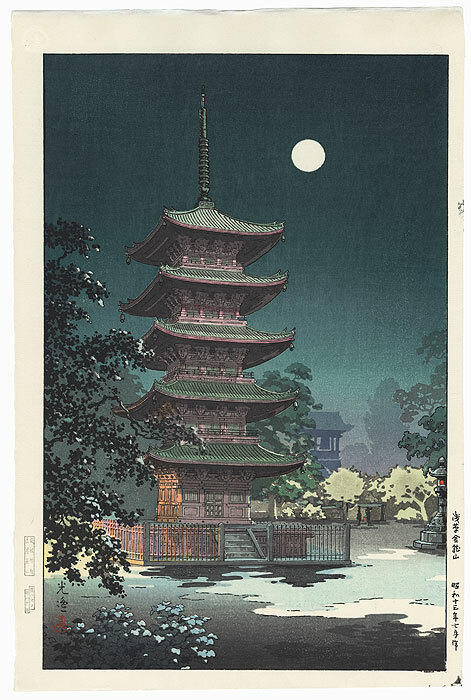 Comments - Lovely moonlit view of the pagoda of Asakusa Kinryuzan Temple, the towering structure shadowed in soft tones of gray and pink. 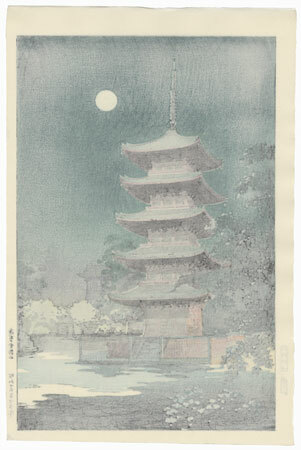 A leafy tree frames the scene at left, and moonlight and shadows play across the quiet grounds. 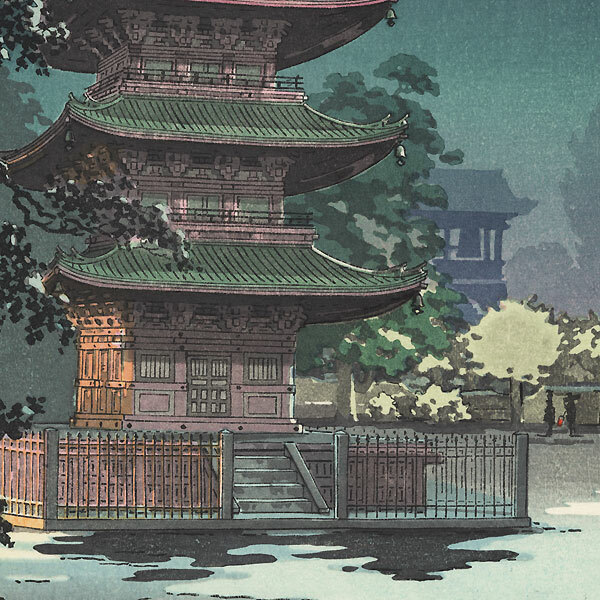 Two tiny figures in dark silhouette with a red lantern can just be seen in the distance at lower right. Beautiful color and bokashi shading in this attractive design.